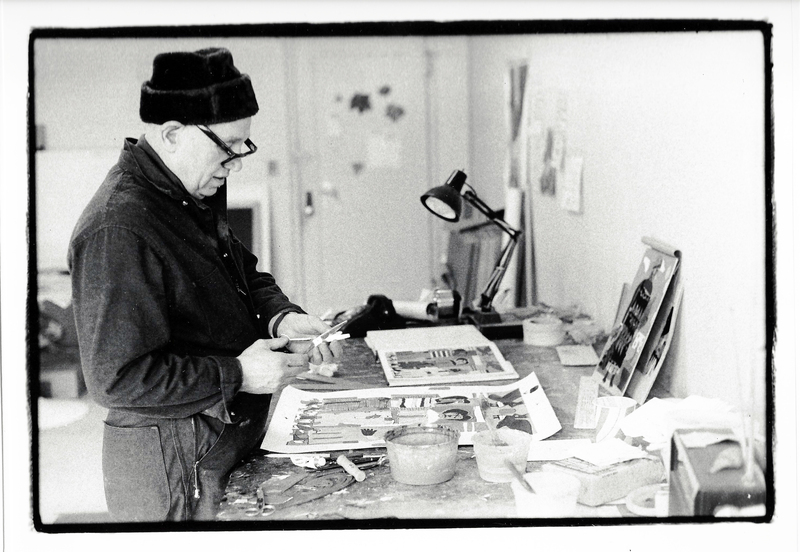 This spring, stop by the Charles L. Blockson Afro-American Collection to view images of acclaimed American artist, Romare Bearden, by his friend and fellow artist, photographer Frank Stewart. 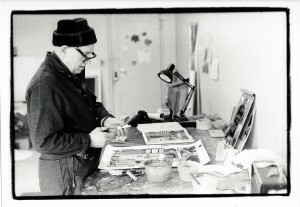 Bearden, known for his collages and paintings, was also a prominent leader and mentor in the mid-twentieth century art scene in New York City. Stewart’s images offer an entry point into Bearden’s legacy while also serving as a historical record of the group of prominent artists and intellectuals with whom he maintained relationships. At the same time, Stewart offers us a warm portrait of Bearden’s life, at home and with friends. The exhibit also features photos of Bearden from the John W. Mosley photograph collection. Mosley was a photographer who lived and worked along the east coast and whose images of African American life in mid-20th century Philadelphia are also housed in the Blockson Collection.